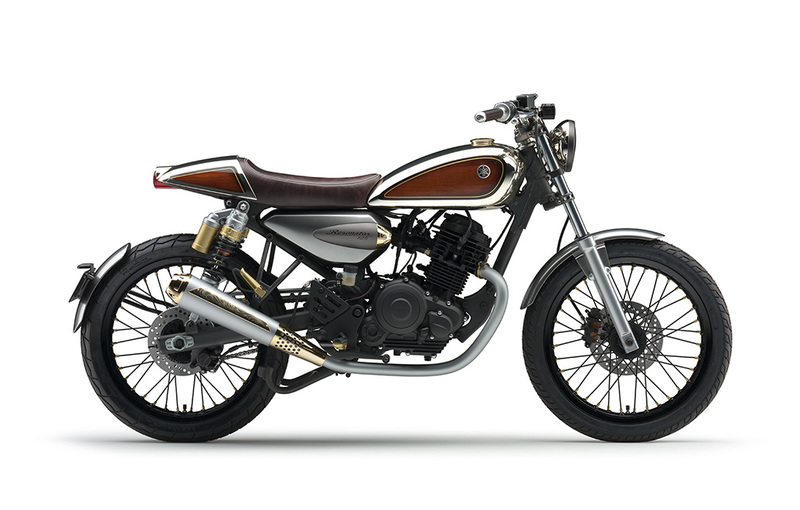 Resonator 125 - Yamaha Motor Design | Yamaha Motor Co., Ltd.
Affinity with your bike only grows with the passage of time, and whether you are riding or simply gazing at the Resonator 125, it strikes an emotional chord. 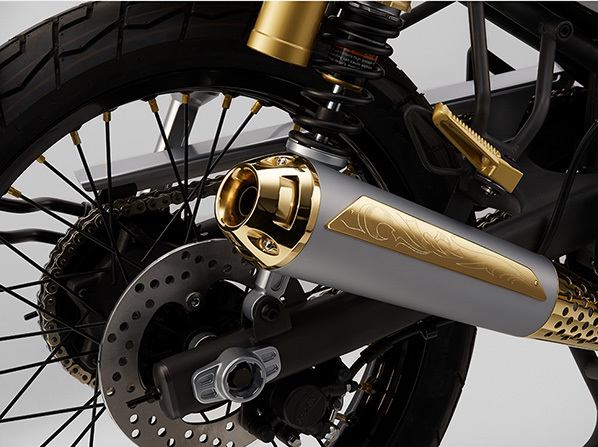 This road sports model was conceptualized as a fusion of the old and new. 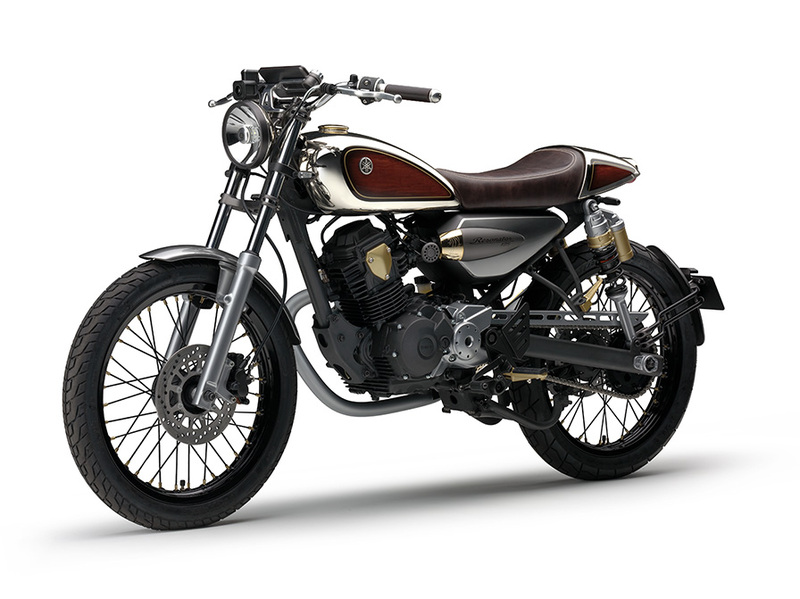 Its sporty chassis was designed for qualities that stay true to the long-held Yamaha sport bike principles of lightweight, slimness and compactness and the model employs a new device for the instrument cluster. 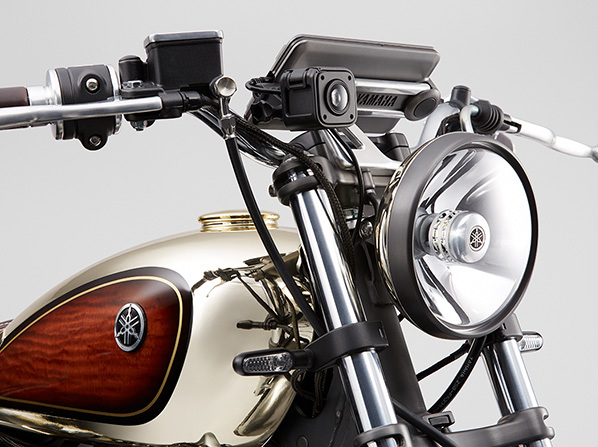 Furthermore, everything is melded together with the craftsmanship that goes into creating the finest musical instruments, something only Yamaha Motor can deliver thanks to the brand’s origin in the music industry. 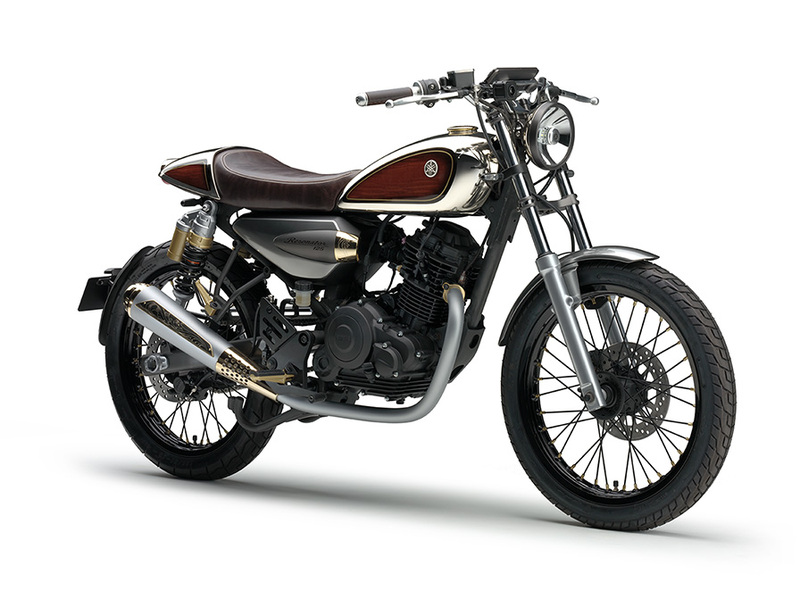 The Resonator 125 is a machine that can bring great fun and satisfaction to people who have yet to fully discover the joys of motorcycling, as well as veterans who have owned a number of bikes over the years. 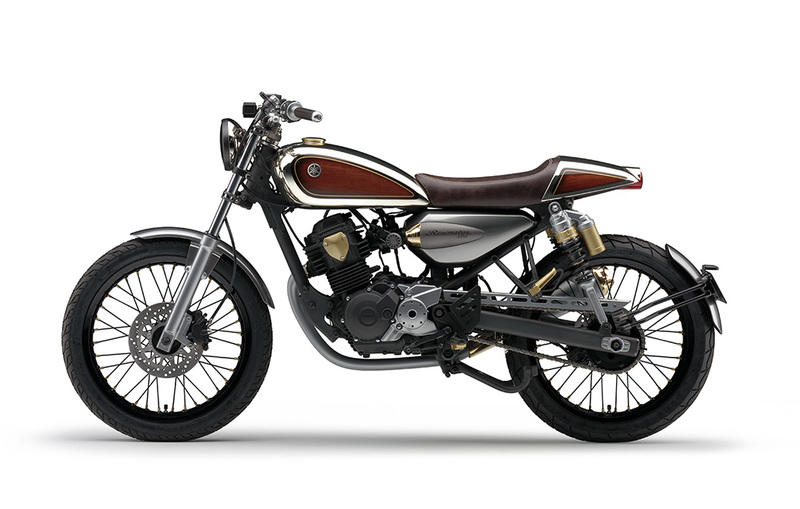 The engravings on the muffler and fuel tank cap were done with same intricate techniques used on brass wind instruments (in cooperation with Yamaha Musical Products Co., Ltd.). 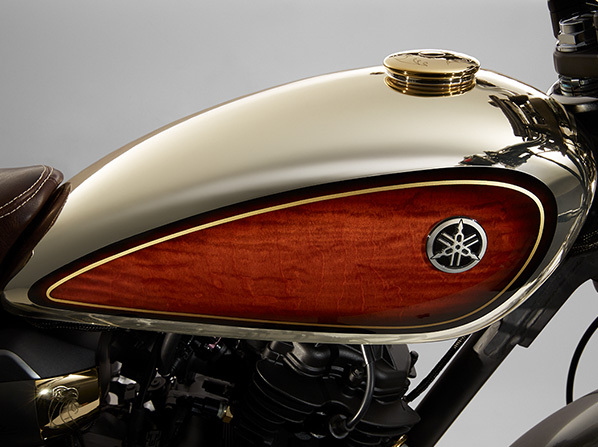 The side panels of the fuel tank and rear cowl utilize decorative panels of natural wood created with traditional piano manufacturing techniques (in cooperation with Yamaha Fine Technologies Co., Ltd.). The new-generation headlight uses a bulb packed with LED lighting elements instead of reflectors for excellent illumination. 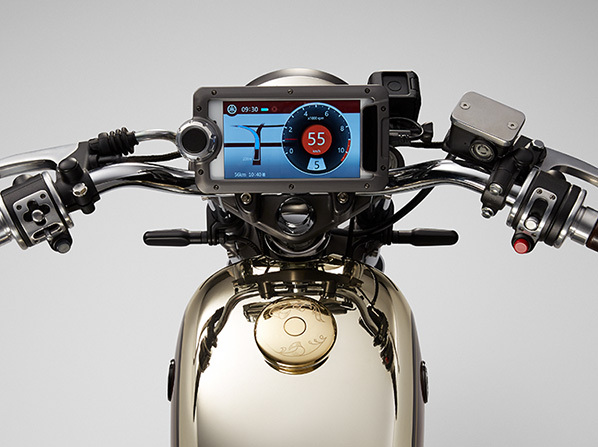 A multifunction smartphone instrument cluster that is fun to use whether you’re on or off the bike.